Sadly, people get injured at work all the time. From slips and falls to more serious incidents, a physical injury can prevent you from working. No matter what industry you’re employed in, whether it be a highly physical job or an office role, accidents can happen to anyone. This is why it’s important to know how to deal with a workplace injury. You should tell your employer about the accident as soon as possible. 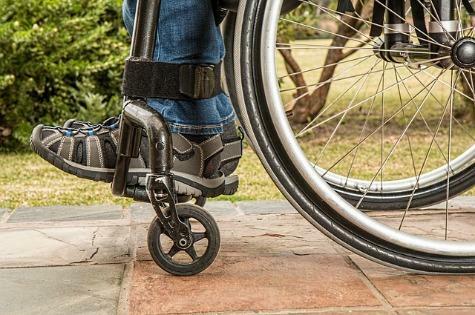 This can help reduce the risk of another injury occurring, and will give your employer a chance to advise their workers’ compensation insurance provider. Providing a written statement can help your employer better understand the details of the accident. You may also need to fill out an accident report form — ask for a copy of the report for your own records as well. Following an accident, it’s a good idea to be checked out by a medical professional. Even if you were only involved in a minor incident, it’s always a good idea to see a doctor. That way, your doctor can rule out any serious concerns, and refer you to a healthcare provider for rehabilitation as required. While receiving treatment, keep any receipts or paperwork from your healthcare provider. If you choose to go ahead with a workers’ compensation claim, you will need those to support your claim. Being unable to work can be very stressful. Apart from dealing with your injuries, the uncertainty of what compensation or wages will be paid while you recover can be just as worrying. Of course, normal expenses don’t stop while you’re injured, so it is always good to know what you’re entitled to. Speak with your employer about your options for claiming compensation. If you feel that your employer is not providing you with sufficient information, it might be helpful to speak with a legal representative. A personal injury specialist, such as Sinnamon Lawyers, can explain your options. While no one is trying to rush you to get better, it’s important to rehabilitate properly. A workplace injury doesn’t just affect your ability to earn money - it may also restrict you at home. When you have a family to care for, managing an injury can be very difficult. To give yourself the best chance of a speedy recovery, always follow your doctor’s advice. Once you are well enough, have a frank discussion with your employer about returning to work. After an accident, it may take some time before you are able to perform your duties. Your employer may be able to suggest alternative duties for you to do until you get back on your feet. Workplace accidents are a serious matter. If you have been injured at work, taking care of yourself should be your top priority. Your employer has a duty of care for all employees, so be sure to communicate with them regularly to aid your recovery.